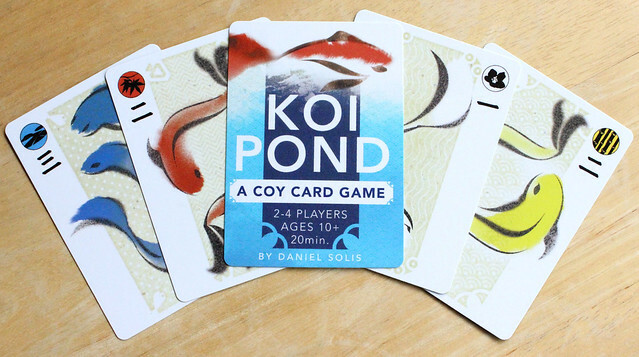 KOI POND is a fast, brainy, casual strategy game. 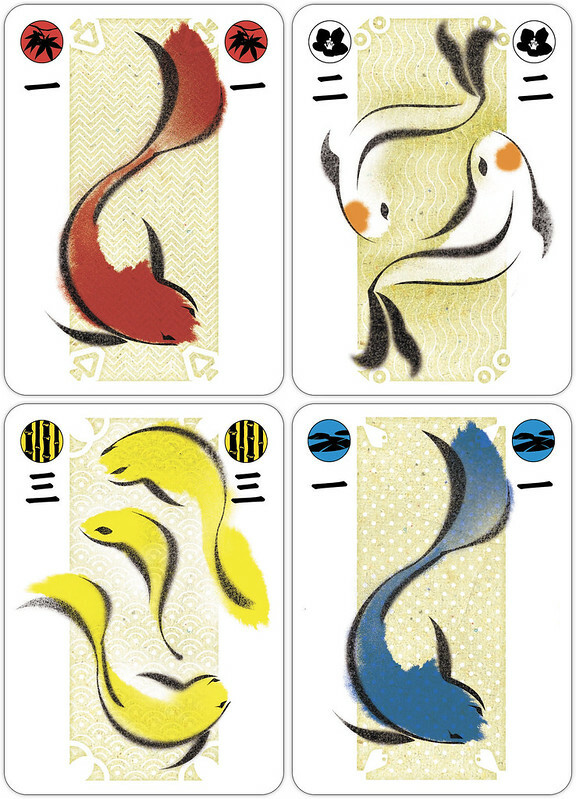 Collect colorful koi fish and place them in your pond or your house. Keep your pond and house totals as equal as you can, because you only score points for the lower total! What’s more, your pond is public, but your house is secret. To win, you have to be... coy! This game uses DriveThruCard's thickest, highest quality, Premium card stock. They feel great! This title was added to our catalog on April 22, 2013.